When you shoot a video with your smartphone or camcorder, it always happens that you may get several different video clips with some unsatisfied parts on it. At this time, what you will do is to cut the useless segments and then merge the video files together to make a resultant film. To make an enjoyable movie, you need an effective video merger to help you. Since there are so many different video combiners on the Internet, you may feel confused which one to use, thus in this article, we have picked up 8 best video merger software to join video clips with high quality on the PC or Mac computer. Joyoshare Media Cutter for Windows (or Joyoshare Media Cutter for Mac) is one of the best video cutter and joiners in the current market. It allows you to cut any video into pieces, remove the unwanted parts, edit the video in the way you like, and then merge the video clips to form a new one. The cutting and merging process takes only a few seconds, without causing any quality loss. Besides, you’re also freely to edit the videos such as trim the video clips, adjust the aspect ratio, rotate and crop a video, add watermarks and subtitles, or apply special video effects, etc. 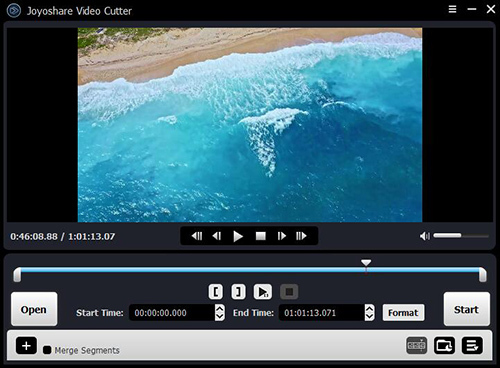 Joyoshare Media Cutter supports lots of input and output video formats including MP4, MOV, MKV, M4V, AVI, MPG, MPEG, 3GP, etc. You can also export the merged video onto various portable devices such as iPhone, iPad, Galaxy, PS4, Samsung TV, etc. or directly share it to media platform like YouTube, Facebook, and Vimeo, etc. If you want to join multiple video files in the same or different formats, you can try Joyoshare Video Converter. You can also get the video merger software download free of charge from the official website. It is a smart and wonderful video converter, video editor and video merger tool. With the software, you can easily merge different video files to a single one at 30X faster speed with original video quality intact. Joyoshare Video Merger empowers you to join any video files to almost all common video formats including MP4, WMV, MOV, AVI, FLV, AAC, etc and then save the joined video file on multiple mobile gadgets like Apple iDevices, Samsung smartphones, LG, HTC, etc. You can also rename for the file, change the bit rate, frame rate, codec, and quality according to your needs. 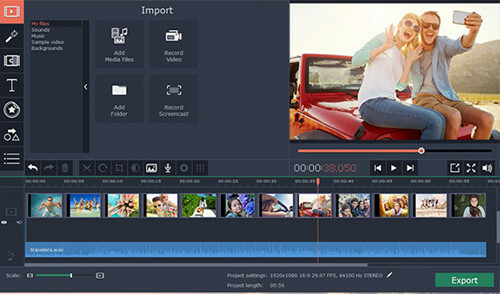 Another best video merger software for PC or Mac is Movavi Video Editor. The program provides an easy way to merge MP4 and other videos into one and also gives you a chance to edit films in different ways. Creating full-length movies using Movavi Video Editor can be very easily. You just install the video merger on the computer first, upload the video files to the software, edit the videos if you want such as add transitions, filter and titles, etc and then save the edited video in the format like AVI, MP4, WMV, FLV, MPEG, MOV, etc. Available for both Windows and Mac, it is the easiest video merger software freeware that is able to cut large videos into smaller ones and slice off the unnecessary parts of the video such as commercial ads, trailer and outtakes. Additionally, it enables users to combine several video files into one file in MP4 format at a very fast speed. And merging video files with the program only needs a few clicks. Free Video Cutter Joiner also support multiple video file formats including MP4, MPEG, WMV, AVI, 3GP, FLV, etc. Winx Free Video Converter is one of the best free video merger software for Windows 10/8/8.1/7/XP/Vista. You can use it to combine videos in different formats into a single and continuous one file at fast speed without altering the original quality. It supports numerous video formats for merging and saving including H.264, MPEG, WMV, blu-ray video, AVI, MP4, AVC, MOV, FLV, etc. Moreover, you’re also given the option to edit your movie like adjusting volume, adding subtitles, cropping video file, trimming the video, etc. This is another merge video software freeware for PC, designed for people who are seeking for a free solution to combine multiple video files into a large one. The simple interface makes it very easily to for anyone to join video clips, even if you’re never used it before. Weeny Free Video Joiner is competent for merging different video formats like MP4, MPG, 3GP, AVI, FLV, RMVB, VOB, WMV, MKV and then converting it to other videos in the format such as MP4, MPG, AVI, FLV, WMV or WMV. What’s more, it also allows you to customize the output settings including codec, size, bit rate, frame rate, audio volume and quality. Ultra Video Joiner is a professional video merging tool that enables users to combine or join many video files into one large file. As a useful AVI joiner, MPEG joiner, MP4 joiner, etc, this program supports various different video formats including AVI, MOV, MP4, FLV, MKV, etc. You’re also freely to add the number of video files and rearrange the order for merging, and then save the combined video in the formats of AVI, WMV, MP4, Divx, XviD, MPEG, FLV, VCD, SVCD, DVD. 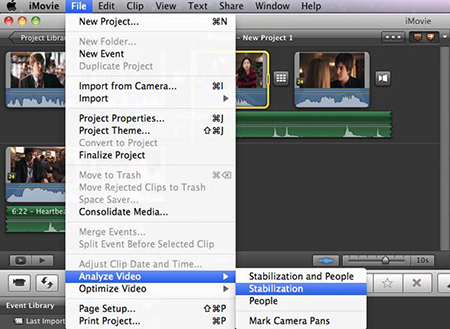 If you’re a Mac user and you’re looking for good-to-use video merger software for Mac, you can consider iMovie. This is a simple yet useful video editing program pre-installed in the Mac computer by Apple. You can use it to cut, edit and crate best movie as you like, of course you can also use it to merge video clips together with high original quality preserved. The app is available for macOS and iOS, so you can start to merge and edit the video on your iPhone, continue to iPad and then finish it on the Mac, as you like. So all these are the best video merger software up to now, of course you can also find some other good ones on the internet, but it will be a time-consuming job. If you want to join multiple video files for free, you can consider Free Video Cutter Joiner, Weeny Free Video Joiner or Winx Free Video Converter; if you want to merge videos on Mac, you can choose iMovie to join and edit videos; if you want to cut and combine the video clips from the same video, Joyoshare Media Cutter is highly recommended; or if you’d like to merge several video files in different formats, just try Joyoshare Video Converter.